The Bhagavad Gita tells the story of how Arjuna, the great warrior, is seated in his chariot about to engage in battle, when he sees his own kinsmen and his revered teacher arrayed in battle against him, and feels that he cannot fight. It is then that Krishna, the Cosmic Lord, comes to counsel him. Arjuna represents the human soul seated in the chariot of the body and Krishna is the inner Spirit, the God within, who is there to consel him. Today we see humanity divided against itself and threatened with nuclear war and mutual destruction. No political means are adequate to deal with this problem, and many are driven to despair. 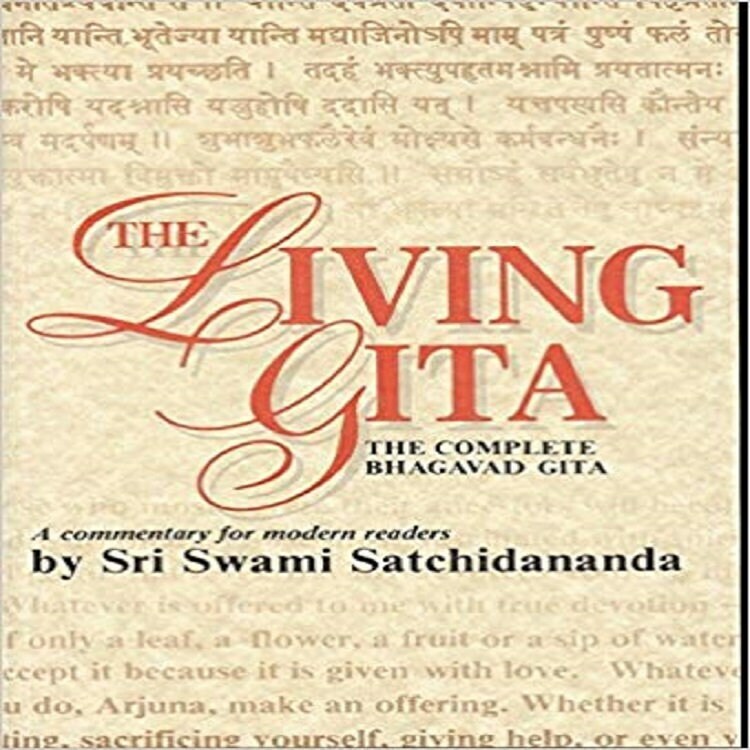 It is then that the message of the Gita comes to teach us that it is only when we rise above human schemes and calculations and awake to the presence of the indwelling Spirit that we can hope to find the answer to our need.